Once upon a time, there lived a country mouse and a town mouse. One day, the town mouse decides to pay a visit to his cousin mouse that lives in the country side. The country mouse welcomed the town mouse into his small but warm home underground. The country mouse is poor and rough but the town mouse is rich and polite. The country mouse have no special food to offer the town mouse but only beans, bacons and cheese. The country mouse agreed to go with the town mouse to his home at the town. So the two mice set out and arrive at the town mouse’s house at night. The town mouse brought the country mouse into a large dining room. The dining room has a table set with all kinds of delicious food like roast chicken, jellies, cakes, and ham. 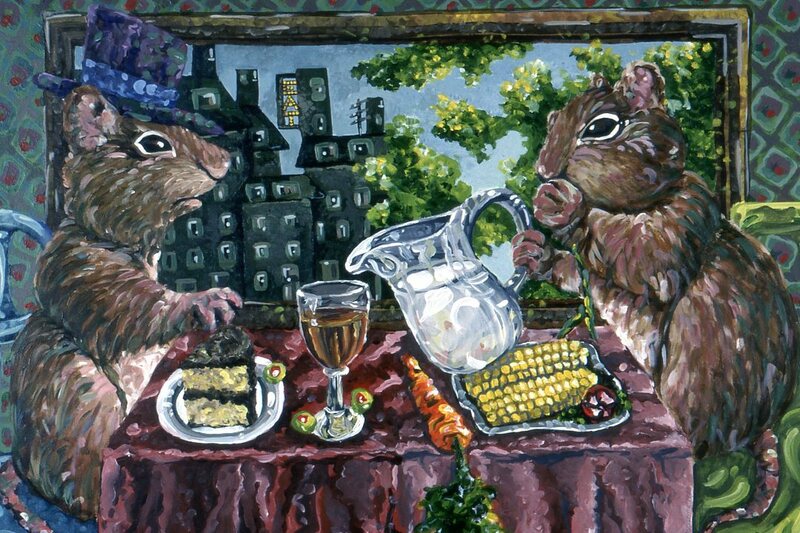 The town mouse and the country mouse climbed on the dining table and gorged themselves on all the food. At that moment, the door flung open and two bulldogs came in and bark at them. The country mouse and the town mouse were so scared they scamper down to escape from the dogs.